Currently, it operates in several African countries such as Nigeria, South Africa, Angola, Ghana, Mozambique and Kenya, where its continental headquarters are situated. GE Africa director originations Mr Reginald Max told the Parliamentary Portfolio Committee on Mines and Energy last week that they are eyeing the Batoka power project, among many other energy projects. Mr Max said they have huge financial muscle to undertake any project in Zimbabwe. “We have a track record and we have the financial muscle to undertake the Batoka project. We believe that power assets such as Batoka should be owned by the State. “We will invest to develop the power station, but ownership will be retained by the Zimbabweans,” said Mr Max. Feasibility studies have shown that the Batoka hydro electricity project – which is shared by Zimbabwe and Zambia – requires about US$6 billion. Some international financial institutions are currently working towards raising US$4 billion, and the African Development Bank (AfDB) is the lead arranger for the 2 400MW project. Another global firm interested in investing in Zimbabwe is Italy’s Enel Group, whose net worth is estimated at US$40 billion. Sources say the Enel Group has been keen to invest in Zimbabwe for some time and its delegations have visited the country three times. The Milan Stock Exchange listed firm is now expected to meet local energy players in Italy who will be visiting the European country from February 21 to 23. During the trip, the Confederation of Zimbabwe Industries (CZI) is expected to meet Italian business executives with interests in manufacturing, mining, energy and infrastructure. Zimbabwe’s embassy in Italy is reportedly part of the facilitators of the crucial visit by the local delegation. Under the new dispensation, Zimbabwe’s representatives are supposed to be actively seeking investment deals for the country, beyond their usual political roles. Enel, which operates in 37 countries, has interests in electricity and gas, with 84 gigawatts of installed capacity across the world. The firm’s portfolio of power stations is highly diversified, running on hydroelectric, wind, geothermal, solar, thermoelectric, and nuclear and other renewable sources of power. Over half of energy generated by the Enel Group is produced with zero carbon dioxide emissions, making it one of the leading producers of clean energy. Liberation Mine – a Zimbabwe based firm – is reportedly targeting to invest in coal mining in Lubimbi, near Hwange in Matabeleland North province. Mines and Mining Development Minister Winston Chitando confirmed to The Sunday Mail Business last week that Liberation Mine is keen on coal mining. “Yes I know about them. They are doing exploration in Matabeleland North,” said Minister Chitando tersely. Power investments key The huge interest by investors to commit funds into the country’s energy sector is seen as a welcome development as that will enable electricity self-sufficiency. The anticipated surge in business activities, driven by investor interest, is expected to exert pressure on the energy sector, hence the need for further investments in power. Current generation is averaging 1 200MW against an estimated national demand of 1 600 MW during peak periods. On Friday last week, Zimbabwe Power Company (ZPC) was generating 1 073MW at Hwange (464MW), Kariba (561MW), Harare (15MW), Bulawayo (16MW) and Munyati (17). Last week, ZPC general manager operations, Engineer Washington Mareya said they have a production plan of 8076,27GWh for this year. 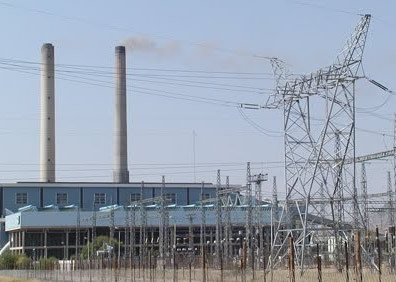 Eng Mareya said ZPC – the power generating unit of Zesa Holdings – has lined up new electricity generating projects with a potential of producing 1 350MW on completion. The projects include Hwange (600MW), Lupane coal bed methane (300MW), Insukamini (100MW) solar, Munyati (100MW) solar, Gwanda solar (100MW), Mutare Peaking Plant 120MW and Gairezi 30MW. Eng Mareya said the solar projects are expected to start in 2020 and will be completed two years later. The Hwange project, whose financial closure has been achieved, is set to be completed in 2020. “The EPC (engineering, procurement and construction) contract and loan agreement for 85 percent of the project cost are in place,” said Eng Mareya. All power plants, including independent power producers (IPPs), are generating about 1615MW per day but the output varies daily due to water levels and availability of coal. Zimbabwe Electricity Transmission and Distribution Company (ZETDC) transmission and distribution director, Engineer Howard Choga told a Zimbabwe Energy Council meeting last week that demand for power is forecast to rise throughout this year. This month, demand is forecast at 1 715MW, rising to 1 844MW in June before peaking at 1 867MW in July. However, if most of the investment enquiries materialise, demand will rise further, making a strong case for the implementation of power projects being targeted by GE, Enel and Liberation Mine. ZIMBABWE has become a magnet for billionaire global firms such as General Electric (GE) and the Enel Group of Italy, in what is seen by observers as a massive vote of confidence in the country’s investment opportunities and critically, the new administration. Since his inauguration in November last year, President Mnangagwa has declared that Zimbabwe is open for business, and investors from across the world have been stampeding for opportunities in the country. This has seen foreign direct investment enquiries soaring to over US$3 billion in the last few weeks. But it is the coming in of a high powered delegation from GE, whose revenue for its global operations was US$122 billion last year, which is seen as a potential game-changer. Formed in 1892, GE has a range of products such as aircraft engines, electrical distribution, electric motors, energy, gas, finance, health care, lighting, locomotives, oil, software, water, weapons and wind turbines. Currently, it operates in several African countries such as Nigeria, South Africa, Angola, Ghana, Mozambique and Kenya, where its continental headquarters are situated. GE Africa director originations Mr Reginald Max told the Parliamentary Portfolio Committee on Mines and Energy last week that they are eyeing the Batoka power project, among many other energy projects. Mr Max said they have huge financial muscle to undertake any project in Zimbabwe. “We have a track record and we have the financial muscle to undertake the Batoka project. We believe that power assets such as Batoka should be owned by the State. “We will invest to develop the power station, but ownership will be retained by the Zimbabweans,” said Mr Max. Feasibility studies have shown that the Batoka hydro electricity project – which is shared by Zimbabwe and Zambia – requires about US$6 billion. Some international financial institutions are currently working towards raising US$4 billion, and the African Development Bank (AfDB) is the lead arranger for the 2 400MW project. Another global firm interested in investing in Zimbabwe is Italy’s Enel Group, whose net worth is estimated at US$40 billion. Sources say the Enel Group has been keen to invest in Zimbabwe for some time and its delegations have visited the country three times. The Milan Stock Exchange listed firm is now expected to meet local energy players in Italy who will be visiting the European country from February 21 to 23. During the trip, the Confederation of Zimbabwe Industries (CZI) is expected to meet Italian business executives with interests in manufacturing, mining, energy and infrastructure. Zimbabwe’s embassy in Italy is reportedly part of the facilitators of the crucial visit by the local delegation. Under the new dispensation, Zimbabwe’s representatives are supposed to be actively seeking investment deals for the country, beyond their usual political roles. Enel, which operates in 37 countries, has interests in electricity and gas, with 84 gigawatts of installed capacity across the world. The firm’s portfolio of power stations is highly diversified, running on hydroelectric, wind, geothermal, solar, thermoelectric, and nuclear and other renewable sources of power. Over half of energy generated by the Enel Group is produced with zero carbon dioxide emissions, making it one of the leading producers of clean energy. Liberation Mine – a Zimbabwe based firm – is reportedly targeting to invest in coal mining in Lubimbi, near Hwange in Matabeleland North province. Mines and Mining Development Minister Winston Chitando confirmed to The Sunday Mail Business last week that Liberation Mine is keen on coal mining. “Yes I know about them. They are doing exploration in Matabeleland North,” said Minister Chitando tersely. The huge interest by investors to commit funds into the country’s energy sector is seen as a welcome development as that will enable electricity self-sufficiency. The anticipated surge in business activities, driven by investor interest, is expected to exert pressure on the energy sector, hence the need for further investments in power. Current generation is averaging 1 200MW against an estimated national demand of 1 600 MW during peak periods. On Friday last week, Zimbabwe Power Company (ZPC) was generating 1 073MW at Hwange (464MW), Kariba (561MW), Harare (15MW), Bulawayo (16MW) and Munyati (17). Last week, ZPC general manager operations, Engineer Washington Mareya said they have a production plan of 8076,27GWh for this year. Eng Mareya said ZPC – the power generating unit of Zesa Holdings – has lined up new electricity generating projects with a potential of producing 1 350MW on completion. The projects include Hwange (600MW), Lupane coal bed methane (300MW), Insukamini (100MW) solar, Munyati (100MW) solar, Gwanda solar (100MW), Mutare Peaking Plant 120MW and Gairezi 30MW. Eng Mareya said the solar projects are expected to start in 2020 and will be completed two years later. The Hwange project, whose financial closure has been achieved, is set to be completed in 2020. “The EPC (engineering, procurement and construction) contract and loan agreement for 85 percent of the project cost are in place,” said Eng Mareya. All power plants, including independent power producers (IPPs), are generating about 1615MW per day but the output varies daily due to water levels and availability of coal. Zimbabwe Electricity Transmission and Distribution Company (ZETDC) transmission and distribution director, Engineer Howard Choga told a Zimbabwe Energy Council meeting last week that demand for power is forecast to rise throughout this year. This month, demand is forecast at 1 715MW, rising to 1 844MW in June before peaking at 1 867MW in July. However, if most of the investment enquiries materialise, demand will rise further, making a strong case for the implementation of power projects being targeted by GE, Enel and Liberation Mine.